Criminal Defense | Suffolk County Law Firm | Phillip J. Jusino & Associates, P.C. Were you arrested for drunk driving in Long Island? Are you facing felony charges in New York? Did a disagreement with a family member lead to allegations of domestic violence? If you are facing criminal charges, do not put your future and your freedom in the hands of just anyone; seek the assistance of a criminal defense lawyer who will fight aggressively for your rights. At the law firm of Phillip J. Jusino & Associates, P.C., you receive a top-notch legal defense team. For nearly 25 years, Mr. Jusino has helped to ensure that his clients that are charged with a crime on Long Island receive excellent representation up to and including a trail if that is what is necessary to secure justice. 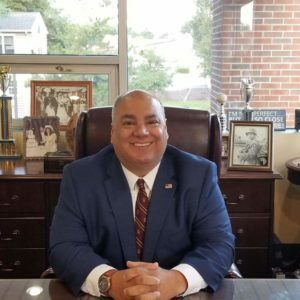 Starting his legal career as a Suffolk County Assistant District Attorney in the District Court Bureau and the Domestic Violence Unit, Mr. Jusino entered private practice in 1991. Contact us online or call us at 631-588-3155 today. It is important to contact us right away so that we can immediately begin reviewing the evidence against you and developing your defense case. Your initial consultation is free, and we have a 24-hour answering service so we never miss a call.